As we move towards the Cloud and the given disruptive changes in technology space there has been a lot of improvements changes in data center network architecture. 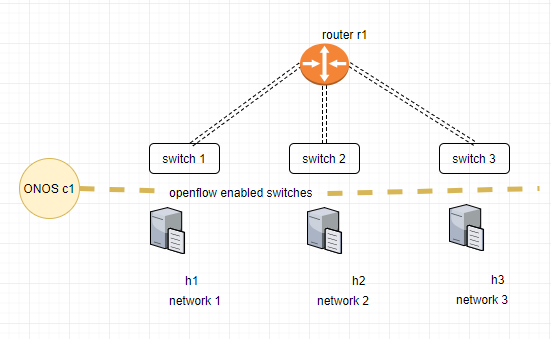 Traditional Datacenter architectures are based on a three-tier architecture which consists of Access →Distributin →Core switches.T his worked well and there has been a lot of advantages to this design. Failures can be easily isolated to Pods. Security and performance issues can be isolated on a Pod level and an easy to identify and troubleshoot. Now, what changes were virtualization and cloud-scale architecture.E-W traffic constitutes to 80% of the data center traffic nowadays which caused increased need of bandwidth inside the DC .3 tier architecture was designed with N-S traffic in mind and so was the case for older infrastructures. Servers which are connected to different pods have to go through increased hops to reach the destination and thereby increasing the traffic congestion overall. 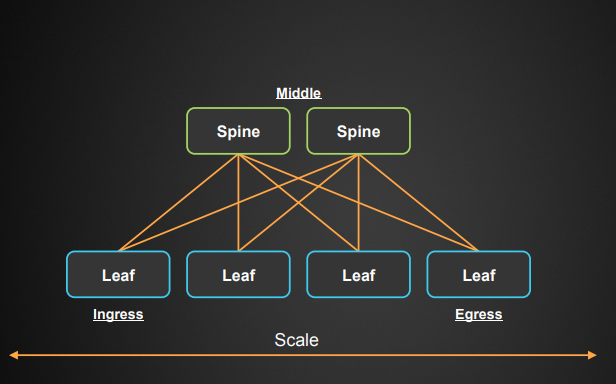 Networks based on Clos network architecture aka Leaf-spine architecture are specifically designed for large-scale computing needs. 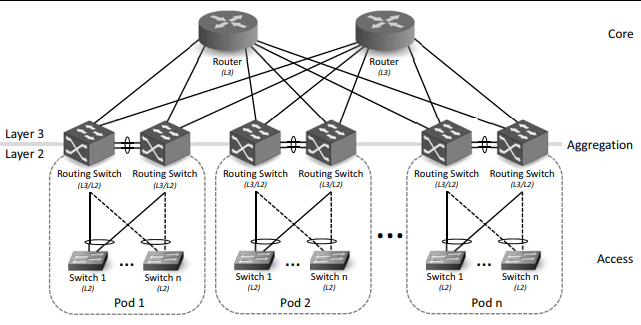 This is a clos switching 3 stage architecture. 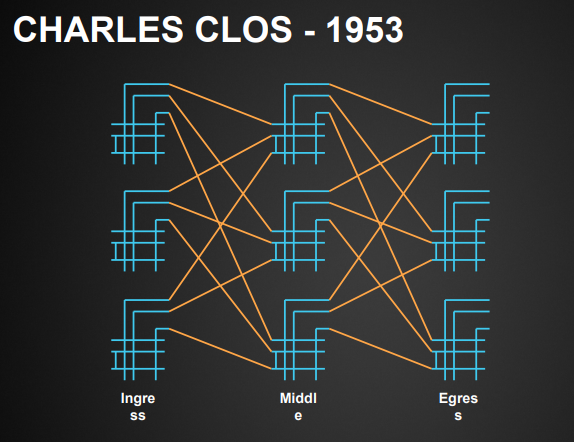 Invented by Edson Erwin and formalized by Charles clos . Coming to DC network the design looks like this. 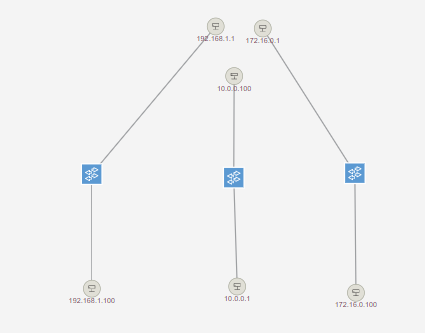 Here the major problems if hop count and scalability problems with 3 tier architecture have been addressed as each server connected to Leaf switch are equidistant from one another and all packets in E-W traffic has to go through same hop count. Regarding scalability here, we are free to do horizontal scaling and in case if we need to add more computers and more bandwidth adding a Leaf (if requires spine) will do the job.